"No. 3 - Le Canon." 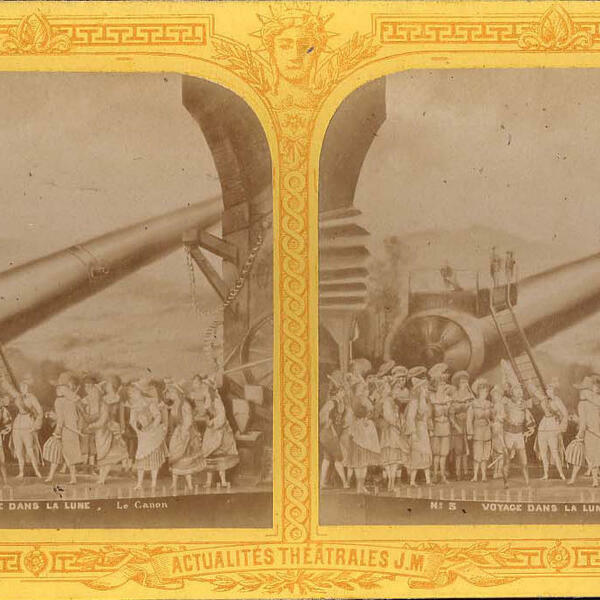 One in a set of twelve stereo cards showing scenes from Offenbach's 1875 operetta Le voyage dans la lune.